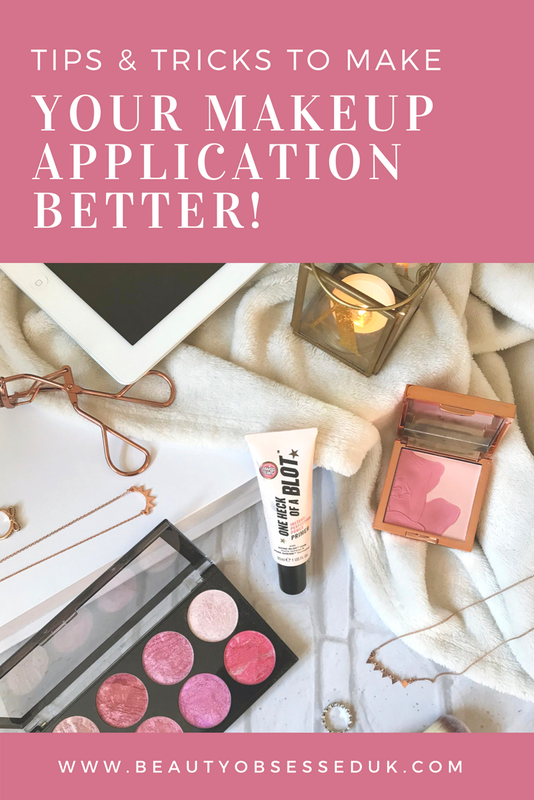 Over the years of applying makeup on myself I have learnt a few tips and tricks which has helped make my makeup application better and easier. Here I will share them with you so you can find them as helpful as I do. When people hear the word bake they think that you'll need to have a full face of makeup but I have noticed that if your like me and you have creases under your eyes this tip will do wonders for you. After your foundation and concealer application apply a layer of loose powder I use Rimmels Match Perfection or Gosh Prime and Set under your eyes (I use a dry beauty blender for this), while this is baking I tend to do my eyebrows or eye shadow (this tip also stops fallout all under your eyes). Baking helps the foundation and concealer to not crease under the eyes because it uses the heat from your face to set your bases leaving you with smooth makeup. I like to have flawless full coverage matte skin when I apply makeup but for the days that you dont want to wear a full amount of makeup I turn my matte foundation to semi matte. Its very simple I basically mix a matte foundation my favourite is Bourjois Air Matte and a dewy foundation I like to use Bourjois Healthy Mix. This will basically give the skin a slight matte look with a glow, I like to use this technique in the summer and on day special events like weddings. Most people like me dont have one skin type, they usually have combination skin. Getting one primer which is perfect for your whole face can be hard so I tend to combine two or more if needed primers to my skin before apply foundation. I use this technique when I know I need my makeup to last all day and night. The way this works is that ill apply as a pore filling foundation on my T Zone like my noes and forehead and then ill apply a hydrating and brightenning primer to my dehydrated areas of my face like my cheeks. This helps your skin to look flawless without your dry areas looking dry and your oily areas looking oily. For my T Zone I like to use Jane Iredale Absent Primer and for my dehydrated areas I like to use Bare Minerals Prime Time. There are two reasons why I use this technique the first one is that it keeps your eye shadow on for longer, using a base will help the pigments in eye shadow to stick to the lip keeping it on for longer. I like to use concealer instead of an eye shadow base because I feel it helps to also conceal the fine lines and any discolouration on the lids. The second reason I like to use this technique is that it is actually a money saver because you dont need to spend your money on eye shadow bases that can be expensive. The concealer I like to use for this is the Collection Lasting Perfection concealer. Recently in the beauty industry a lot of matte liquid lipstick have come around and they are perfect for staying on for longer but if you still want your normal cream lipstick to last longer this tip will help. For this you will need a lip liner, lipstick, blotting paper (or tissue) and loose powder. Firstly apply your lip liner all over the lips then apply your first layer of lipstick, after this blot with a tissue and lightly dust loose powder over the top this will remove the shine and then reapply the lipstick. This will help to keep the lipstick on longer without smudging and It should budge. Using makeup is fun and these tips will help to keep the fun going by making your application of makeup easier and better to help keep your makeup on all day. What are your favourite tips to help your makeup application? What's In My April Birchbox! 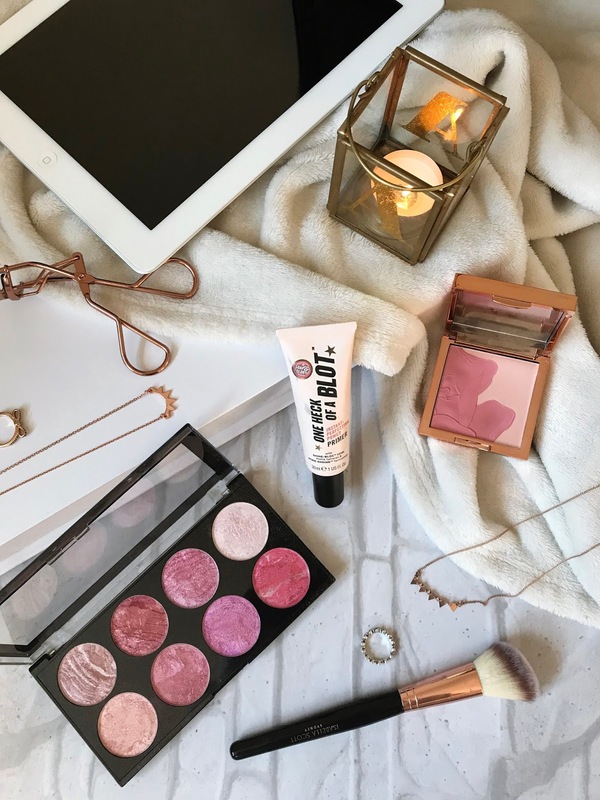 Testing: Soap & Glory's Makeup Must Haves! 5 Blushers Perfect For Spring! Are Makeup Sprays Worth Using? Skincare Gadgets I'm Interested In Trying!